We are committed to ensuring that all buyers interested in our fabulous communities will have the opportunity to look not only at our new home model gallery, but our Shea Preferred resale listings as well. This allows for an increase in traffic to all our client’s listings while simultaneously eliminating extended days on the market and improving home values throughout the community. We also offer a number of resources to ensure the entire purchasing process runs smoothly. We can recommend competent home inspectors, who understand the components of energy-efficent construction, offer discounted title fees through Security Title, and work with Shea Mortgage for anyone requiring a home loan. 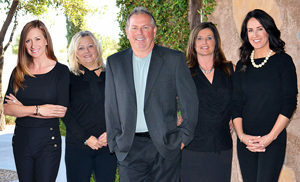 Shea Preferred Realty Group is managed by Ben Leeson, owner/operator of Arizona Experience Realty. Ben and his team of specialized agents utilize 35 years of residential construction experience and in-depth knowledge of energy-efficient building and building science to offer a high level of expertise to every investor, buyer, and seller. Our team has been consistently recognized for being in the top 5% of all Realtors nationwide. Shea Preferred and Arizona Experience Realty also provide real estate services throughout the entire Phoenix area for anyone interested in selling or buying outside of our fabulous communities. Contact us today to find out more!